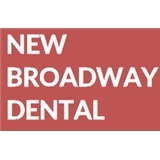 New Broadway Dental (New York) - Book Appointment Online! From the moment you walk through the door of our dental office, you will be greeted with a smile and a warm welcome. Dr. Natalya Modlin and her team of dentists and specialists will meet all of your dental needs, from a simple cleaning to a complex restorative and cosmetic procedure. Our office is conveniently located in the center of New York's Times Square and is easily reached by most NYC subways. Most major transportation HUBs are also within walking distance, making it very convenient for commuters. Excellent Dentist. Highly professional staff, courteous and friendly. I would highly recommend Larisa Tkach to anyone needing a great dentist. My visits are always pleasant, the team in the office is great and I never have to wait long.